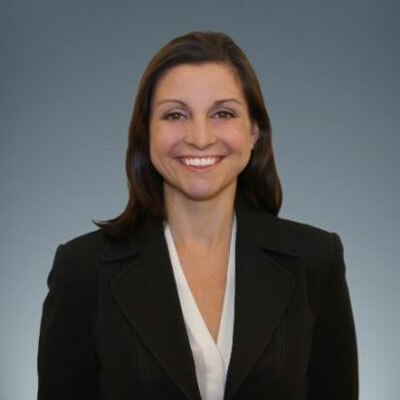 Cortney Steiner was the second sales rep to join the Carahsoft team shortly after the company's founding in 2004. In 2008, she was promoted to Federal Sales Director for Carahsoft's Adobe and Citizen Engagement/GIS team (CEGIS), and is now Vice President of Sales at Carahsoft. In this role, she manages the more than 100 sales and marketing reps on Carahsoft's Adobe and complementary technology teams, driving significant year-over-year revenue growth starting with $8M business in 2005 to $360M business in 2017. Cortney is also responsible for providing Sales 101 Training to all new hires to the company and mentoring existing sales reps and managers company-wide. She also works closely with other VPs in the company to implement strategic marketing and sales campaigns to increase in efficiency, productivity and results. Cortney is also dedicated to the success of Carahsoft's end-user customers and the entire vendor-reseller entire ecosystem. In 2017, her team provided excellent service to more than 260 unique reseller partners and provided proactive sales and marketing support for more than 35 vendor partners. Under Cortney's leadership, Carahsoft's 100+-person Adobe-CEGIS team, processed more than 26,000 orders in 2017 and through proactive sales and marketing campaigns generated more than 3,000 new sales opportunities to its channel partners in 2017, resulting in more $45M in pipeline and $25M in revenue . Key to Cortney's success is the constant innovation across sales, marketing and customer support initiatives to ensure customer success with the software purchased through Carahsoft and the channel. These high-volume, value-add activities have encompassed the development and implementation of a dedicated nurture team, leverage of 1-800 number for customer sales and service, 24x7 support, online tech support, daily demo program, help desk team (more 1,200 support tickets logged in 2017), 50+ videos on YouTube channel for customers and partners, demo specialist team (conducted over 2,100 demos in 2017), and hundreds of custom built "welcome kits" to provide customers with personal outreach to ensure successful installation of products and solutions. Cortney truly sees every opportunity as a chance to add value and support to Carahsoft's customers and partner ecosystem. Cortney's #1 goal is to continue to grow and add value to her customers in the entire channel by leveraging the strengths of every partner and working with them to expand their business and enter new markets with Carahsoft's support and resources. Carahsoft's Adobe and CEGIS teams, under Cortney's leadership, have been recognized numerous times for top performance in training, customer satisfaction, and for driving business results. Cortney admires Shannon Teel who oversees Adobe's partner channel for Public Sector, Healthcare and Non-Profit eLearning and collaboration solutions. Cortney and Shannon have worked together for many years to increase the visibility between the channel and the Adobe field sales team, and build a successful, efficient public sector channel organization for Adobe solutions. Shannon, a former CRN Woman of the Channel winner herself, serves as a role model for Cortney, inspiring her with her with her creativity developing lead management programs, architecting and executing demand generation programs for the channel, and developing enablement strategies for partners to increase sales competency. Cortney works to inspire, mentor and promote her staff by leading by example and creating new opportunities to help them grow and develop professionally. She hopes that by mastering this skill she will be able to promote and empower her next level of leaders - her number one initiative for FY18, enabling her to scale the organization to accommodate new vendors and additional opportunities for growth. One of the best books Cortney has read over the last year is "The Untethered Soul: The Journey Beyond Yourself." Understanding your own self, strengths, weaknesses, and capabilities is something very important to Cortney. She says: "Whether it's at home or in the office, learning to live in the moment, make decisions quickly, and move on is really important. The book has really given me ability to see myself from many different angles. Looking at things a little differently and having the ability to do a self-assessment has really helped me stay organized, prioritize, and delegate more efficiently."